Art, or the human creative element, can be an important element of any garden, and can be a contribution to sustainability. Why have art in a garden? There are many different reasons to have art in a garden. Art can add some magic and some soul. It can entertain or soothe you and others and help create a place we enjoy being in. It can really change the atmosphere. 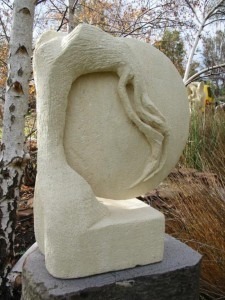 In your garden, art can also be used to convey an environmental message both for yourself and those who share or visit. But this doesn’t mean you need to forgo enchantment and extra interest. Art in our gardens can help us express ourselves through creating it and choosing it and through how we display it. There are endless possibilities. 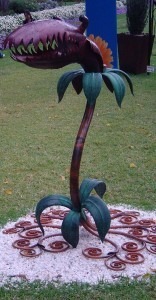 Garden art can be defined as anything which is the result of using creativity and imagination to add another dimension. You can do this with purchased artwork, by creating your own masterpieces or by re-purposing or installing objects in an interesting or unusual way. When we think of garden art we generally think of sculptures, murals, water features or other durable works or objects made by recognised artists. There is a huge range you can choose from. And, when you start looking you can often find interesting and original art within reach of most of us. A hand-crafted original piece is often less expensive than something mass produced and boring. Objects used as garden art need to be durable to withstand the elements and the occasional knock with a ball. This generally means sculptures or a mural. You can also have art with a purpose – if you need a gate or a table, why not make it a work of art? How about this creation on the right as a letter box? As well as searching out artists making works you want in your garden, you can use your own creativity, make your own artwork or installation. 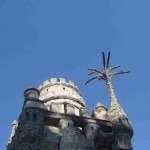 This photo shows a section of Facteur Cheval, an enormous construction in the garden of a French Postman. He started collecting stones and other materials which he used to create his unique garden art while on his mail rounds. You can also use your children’s pottery, natural materials or found objects. You may decide to go for more “ephemeral” art. This may be an installation, often using natural materials, which is not made to last, or is a part of the garden. Part of the joy of such a work can be watching it gradually “senesce” and become part of your garden. The figure in the banner image really has become part of the garden – in the Lost Gardens of Heligan, Cornwall, UK. 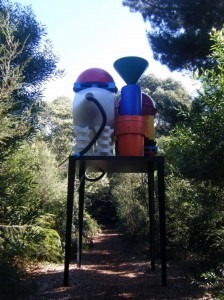 How can garden art contribute to sustainability? Art sends a message. 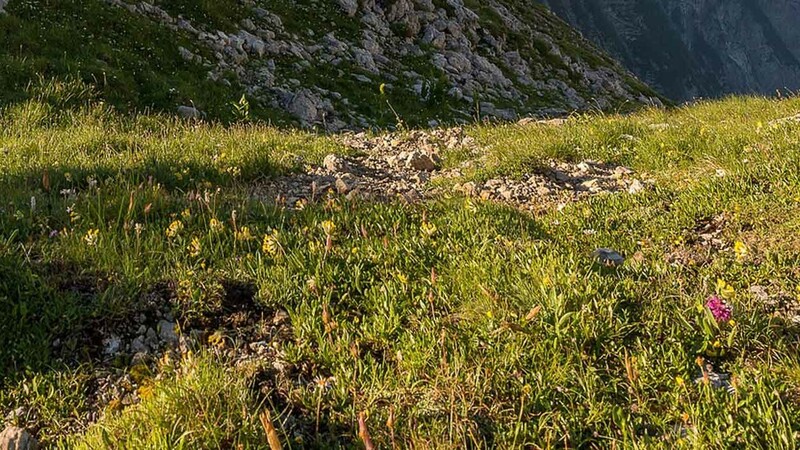 You can get others thinking and keep yourself focussed on important sustainability issues. This can be communicated in many ways and you can tell many stories that influence others. 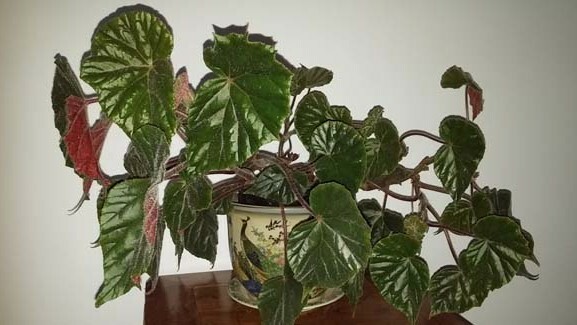 Theme, topic, subject matter can get people thinking along about what sustainability means and underline what the plants in your garden are saying. For example, you may focus on growing food, with artwork reflecting that. This mosaic rooster by local artist Jenny Overton reminds us of the importance of poultry in our food garden ecosystem, as well as adding colour and humour to a garden. Animals, birds, frogs etc may represent preservation of their habitat and emphasise your bush garden. The use of recycled or found materials sends the reduce-re-use-recycle message and prevents them ending up in landfill. The use of local and handcrafted items parallels the ethos of growing our food at home or sourcing it locally, as opposed to importing the mass produced product from overseas. The two very different art works show how subject matter and the use of recycled materials can both give a sustainable message. 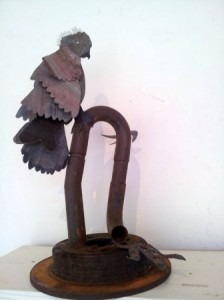 On the left is a cocky made from old corrugated iron resting on a scrap metal pipe by local artist Wendy Bray– a local bird representing native fauna and made from obviously discarded scrap metal. On the right, “Top Shelf” by Louise Paramor is made from plastic industrial materials. “It stands as a high altar of consumerism, and as such makes us reconsider our relationship with the environment and contemporary consumption” (Robert Lindsay, director of McClelland Gallery). 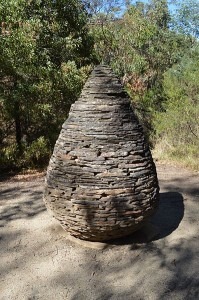 Environmental art engages with the natural world such as ‘Cairn” (Andy Goldworthy 1997) Castlemaine slate. So, test out your individuality and have fun with your garden. Complement your garden design with some quirky art pieces. Drive home the message that you are concerned about water conservation, growing your own food and habitat conservation with some artworks. Draw attention to your productive veggie patch with some well-placed but unexpected item. Or cover the fallow patches with a movable bird bath. 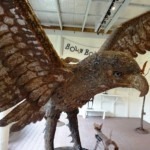 Meredith Plain is manager of the Bolin Bolin Gallery at Bulleen Art & Garden since 1995 and is a ceramic sculptor exhibiting and selling garden art since the early 1990s. She also is a keen gardener.